Please assist to return Pokemon. This forum is for reports against other players. If you are reporting a bug or error, go to the Error Report Forum. Screenshots are required for all reports, otherwise staff most likely will not take any action. 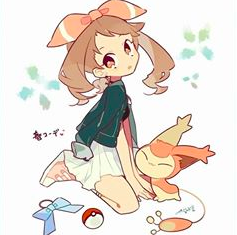 I apologize for not having the pokemon ID, from now on with renting I will obtain that. I am sure this Eevee wont ve hard to find as should be as terms level 70 with Everstone attached. I would really like my Eevee back or if they do not have that another level 70 Eevee with Everstone attached. I am sure it could be that the trainer just forgot to put my pokemon back up for trade. I wish there was a way I could direct message them, which there is not a way, in the meantime as they are currently not on the game while I am reporting them instead of having to set up a report first as I feel if it were me and I forgot I would feel more respected having a direct communication that being publically reported. If I see them on in the meantime I will ask them personally but am adding this as it is past terms and to have my Eevee back in a timely manner so I can put it back up for rent, which it typically goes fast. Thank you for any and all assistance. Re: Please assist to return Pokemon. I think that you should be able to contact the player to get your Pokemon back. Additionally, that would be the preferred method since banning their account would not return your Pokemon to you either. If you still are unable to contact the player within a few days, or if the player refuses to return your Pokemon when you talk to them, then please reply to this report and action will be taken. Otherwise, I will refrain from taking action at this moment. Additionally, next time, please include a screenshot of the conversation you had with the player showing that both players agreed to the terms of the deal. Although you can say that your trade description is sufficient, I do not think it is sufficient since some players do not even read the description or cannot read the description due to language barriers. Thank you for being so polite though. This is the most polite, well-written, and reasonable report I've seen in a while.